Ja Rule and Billy McFarland’s ill-fated Fyre Festival went down as one of the biggest, most publicized and widely shared blunders of 2017, subject to endless ridicule about almost every aspect of the festival. Luxury accommodations that turned out to be real disaster real tents. “Gourmet" food that turned out to be Wonderbread and Kraft singles. A promise of famous models who were nowhere to be seen. A full bill of artists who cancelled when they realized no stage had been built. And of course, you can’t forget the wild dogs and local muggers. 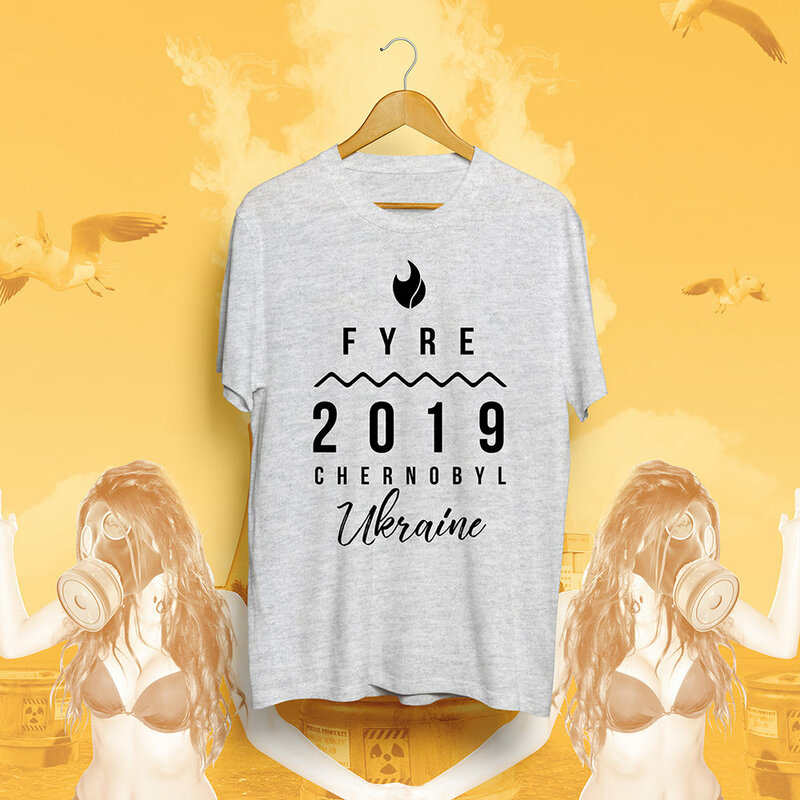 Thanks to eight lawsuits and a nasty case of wire fraud, the future of Fyre was dead in the water. We knew if Billy and Ja weren’t going to keep the Fyre burning, someone had to. 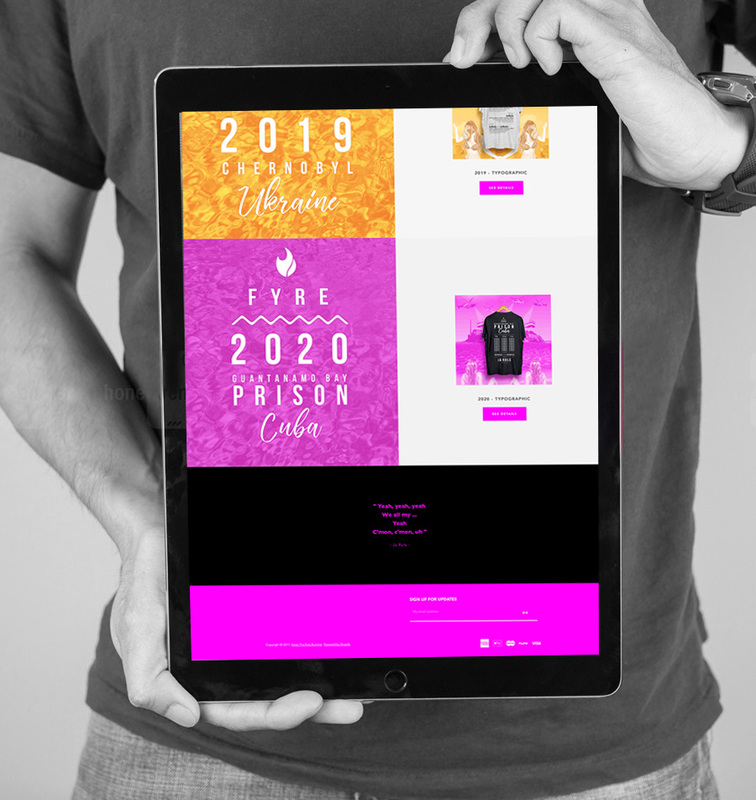 We created three fictional future Fyre festivals set in some of the world’s most exotic and luxurious destinations: Pyongyang, Chernobyl, and Guantanamo Bay, paired with with a romanced description of all the festival amenities, food and accommodations. 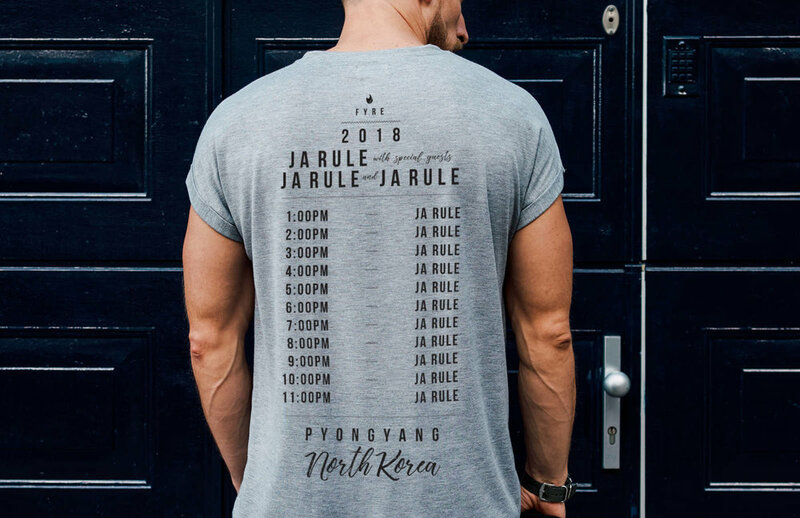 Each date had its own line of limited edition merchandise that depicted each festival date as honestly as its original promoters, right down to a commemorative list of at least 30 consecutive Ja Rule performances on the back of each t-shirt. Next year, we’re turning the DRNK into the Democratic Republic of Gettin’ Lit. 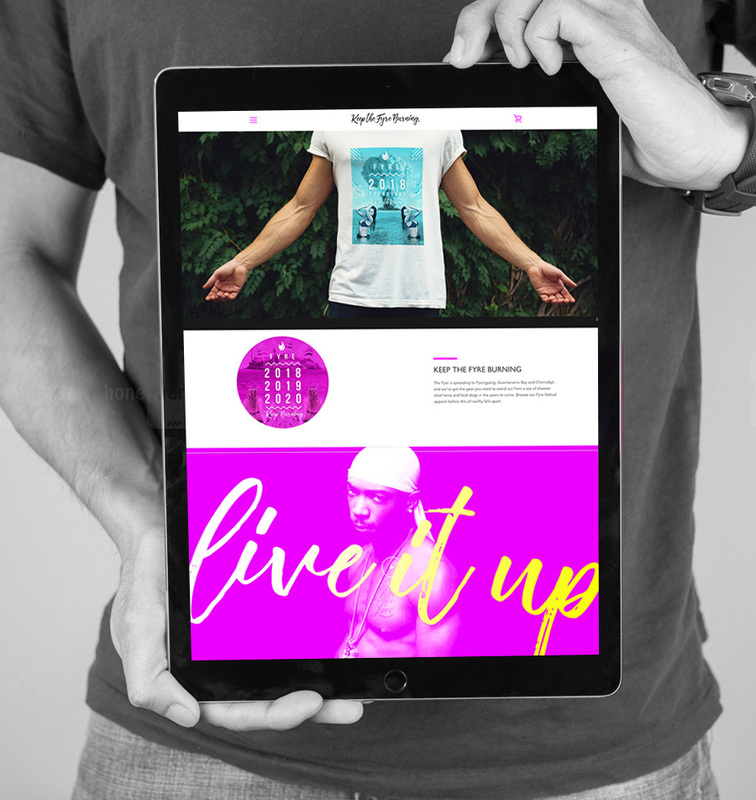 Enjoy a personal, state sanctioned party guide at your side 24/7. Delight in catered rations of local delicacies such as wild grass. Gaze at the stars as they cascade over naturally-occurring holes in the roof of a decommissioned hospital from your own modern, military-approved cot. Meet, greet and take photos with a model citizen. You may be asked to delete them. But trust us, you won’t want to. If this wasn’t the most free place on Earth already, it’s about to be. All hail glorious festival. In 2019, this untouched oasis becomes home to the biggest FOMO inducing event of the year. Indulge yourself in our complimentary signature drinks, River Water, hand-crafted by a local mutant. Savour elegantly plated pieces of old rye bread with milk for dipping. And if you loved the feral dogs, the slightly irradiated local grey wolves will put your social feed into meltdown mode. Is this heaven? 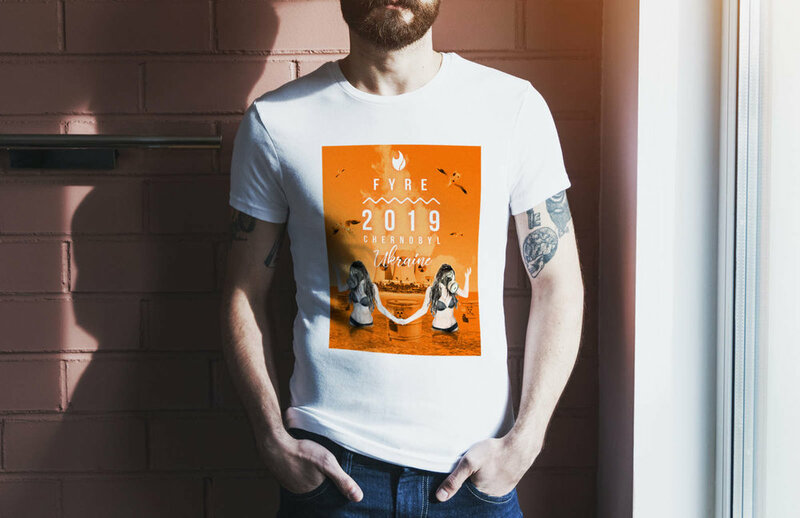 No, it’s Fyre. This picturesque beachfront property builds on the success of the inaugural festival with progressive VIP amenities such as genderless, wall free washrooms, group shower facilities, luxury bunking cabins for two, and roving security gangs throughout the grounds. Plus, gourmet catered gruel made to order. Prepare to be imprisoned in paradise.